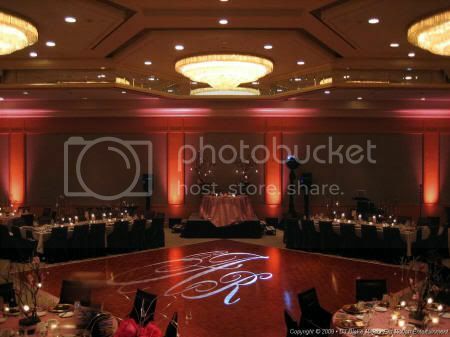 Uplighting will transform your event from ordinary to extra-ordinary! You don't get a second chance to make a first impression. There is nothing like seeing your guests faces as they walk into your reception room and gasp at how beautiful it is. It's a memory they can take home with them and keep for a very long time. At Tomardo Entertainment, we use the most technology advanced lighting. Instead of regular RGB (red, blue, green) lights, we use all RGBA uplights. This technology uses an extra set of amber LED diodes that not only give a more powerful beam of light, it gives a truer color. Do these lights cost more? Yes! However, the results are far supperior --- and your event is worth it.